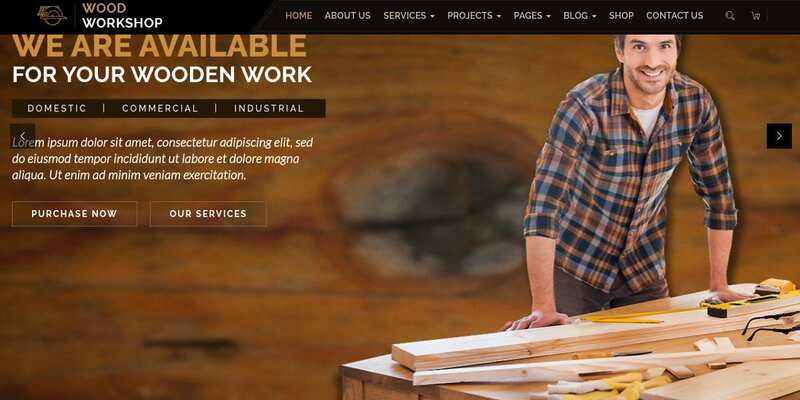 Just as there are themes designed especially for construction workers and other industrial specialists, premium WordPress theme developers have also created custom Carpenter WordPress Themes. These themes have been thoughtfully designed to help you market your business effectively through your website, showcase your portfolio and offer visitors the information that they are looking for. 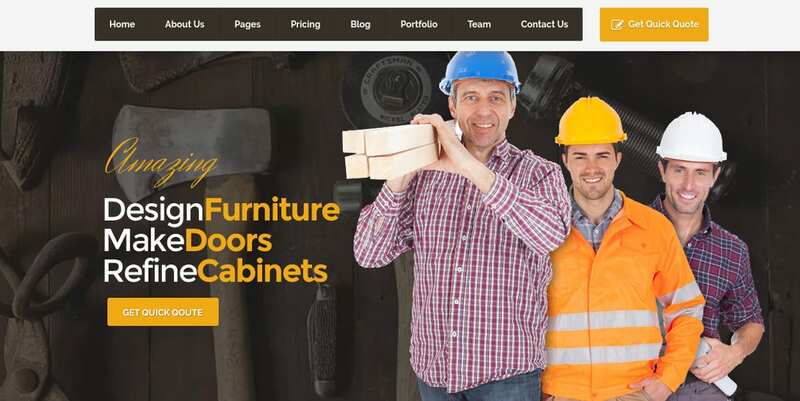 These Construction Company WordPress Themes and Woodcraft themes are modern and mobile-friendly, and can be easily customized for a carpentry workshop or business. This Carpenter Theme has been designed to be used by businesses ranging from carpentry, construction, cleaning agencies, carpentry workshops, maintenance services and others. It is highly customizable and features MainChimp integration, WPML support for easy translations, Contact Form 7 and more. It has been built on Bootstrap 3.x. The theme bundle includes PHP, CSS and JS files that you can edit as well. Nailhead is a great-looking modern website with a responsive and retina ready layout that seamlessly scales to smaller, larger and higher resolution devices. The theme is easy to install and can be customized by anyone without coding knowledge. The file available for download is 5.32 MB and comes in a ZIP format with XML files included. Wood Workshop is a carpentar and craftsman WordPress theme that offers one click installation for demo content that you can set up quickly and customize with the powerful admin panel. The theme is fully responsive and can be further edited visually with the Visual Composer plugin. Wood Workshop uses a great wood-textured background image and complementary dark accents and light typography for a professional and clean audience experience. This Interior Design WordPress Theme is an elegant dark theme with modern features for a seamless and mobile friendly visitor experience. The theme includes plenty of premade content such as Testimonial and Team blocks, gallery, slider, parallax background, slider animation, over 100 shortcodes and the ability to add up to 20 homepage sections and hide the sections you don’t want. The theme is also RTL ready and WooCommerce compatible. 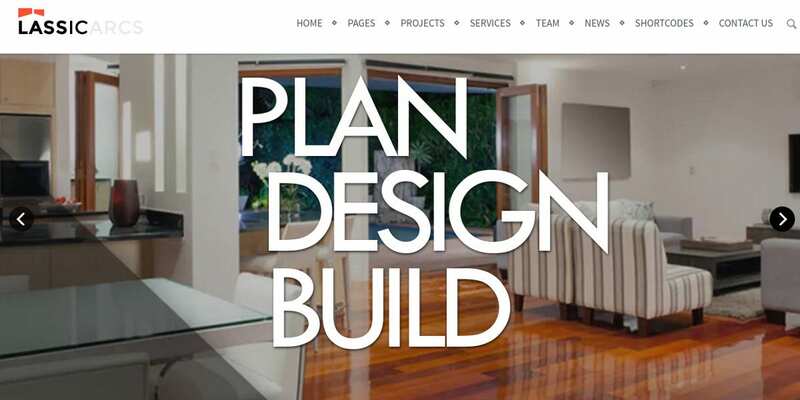 Renovatei a construction theme that can be used by businesses in the renovation industry to showcase their services. The professional and light theme includes useful tools like Cost Calculator tool that you can offer visitors to get quick estimates. It also includes plugins like Slider Revolution and Visual Composer. It comes with Page Builder for WordPress. It also features a sticky menu, slider, 12 page templates and more. 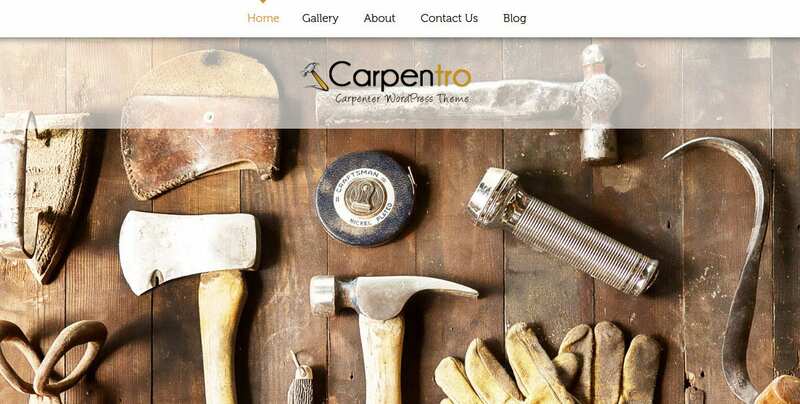 This Carpenter WordPress theme has been designed for wooden joineries, carpenters, wood artists, furniture designers and others in the industry. The theme comes in 8 unique color styles and theme features like gallery, news and other types of content. You can add your business logo, a navigation menu at the top of the page, a fullwidth slider, contact form, social icons in a widgetized footer, etc. Lassic is an elegant business theme with striking colors against a white background and beautiful white typography. The theme is fully responsive and the demo content is available through one-click installation. The theme includes over 650 Google Fonts support, team and portfolio management templates, and unlimited colors and shortcodes to further customize according to your needs. 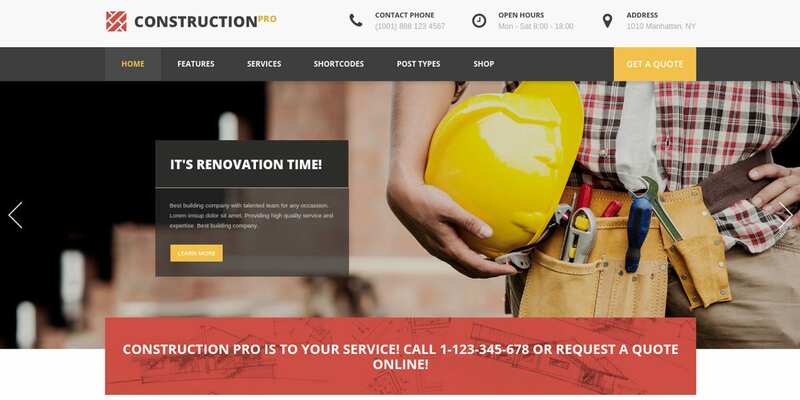 Construction PRO is a building and renovation theme with a custom WordPress admin, unlimited colors and WooCommerce compatibility. The theme comes with two slider plugins that you can use to showcase images and important information. The large shortcodes pack will further let you add buttons, forms and other elements without too much coding. 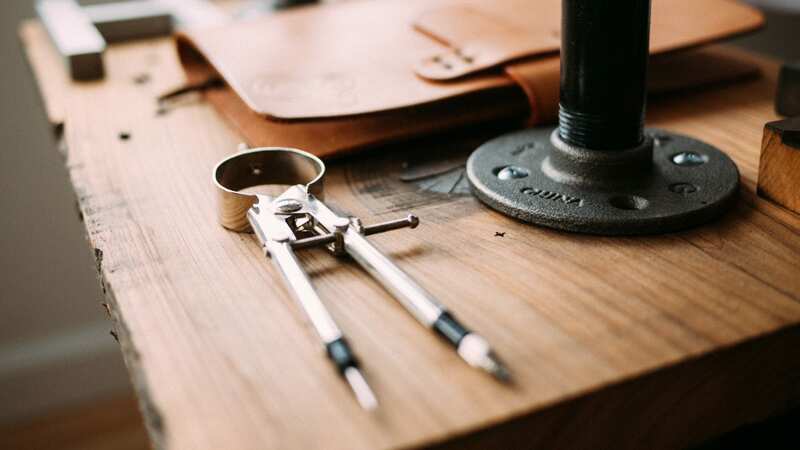 No matter what type of carpentry business you run, you can quickly set up a great-looking website with demo content from these Carpenter Website Templates. While you focus on the more important aspects of your business, you can use these Premium WordPress Themes with the peace of mind that they feature the best and latest technologies that will woo your audience and keep them on the page.